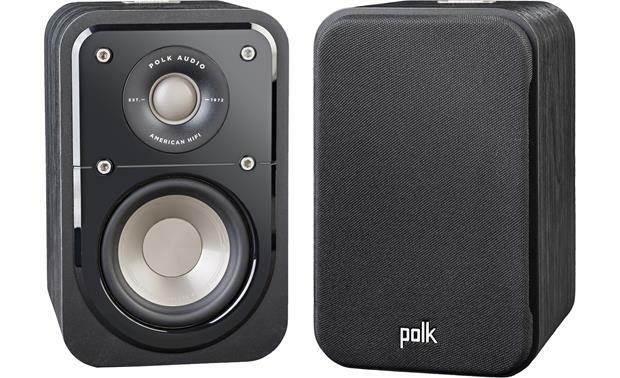 Polk's Signature S10 speakers fit just about anywhere. 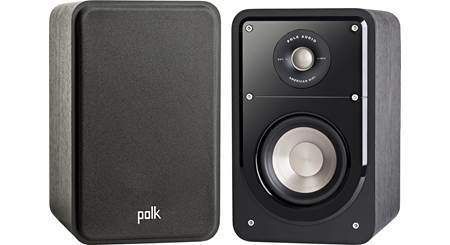 Polk's Signature S10 speakers fit just about anywhere. These compact satellites deliver clean, dynamic sound, no matter what you listen to. Perfect as unobtrusive surround speakers in a multichannel home theater system or for high-resolution stereo music in smaller spaces, their sleek, stylish look adds a touch of class to any room. The S10s are made with high-quality materials for natural, low-distortion sound. Each cabinet houses a 1" high-resolution Terylene dome tweeter for clear, detailed highs and realistic reproduction of instruments and vocals. The highly efficient 4" Dynamic Balance® woofer is made of lightweight yet durable mica-reinforced polypropylene. Non-resonant MDF (Medium Density Fiberboard) cabinets and anti-diffraction magnetic grilles provide an acoustically inert structure for reduced sonic interference. 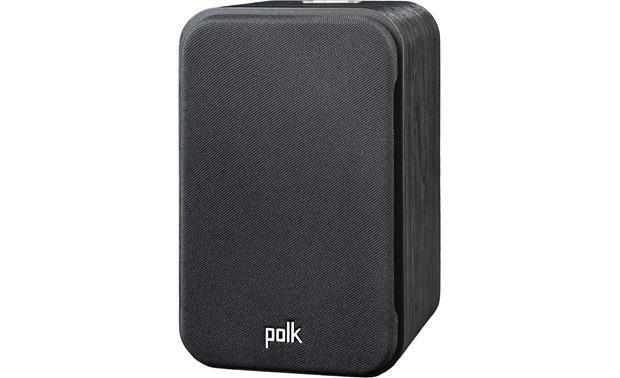 Polk's exclusive Power Port technology helps these ultra-compact satellite speakers deliver better low-frequency response. . I'm very happy with these speakers. I didn't want to spend a fortune. I'm using them as rear surround speakers. They fit the bill and they're attractive looking. Dynamic Balance Drivers: Dynamic Balance is a proprietary Polk Audio technology using laser imaging to determine what combination of speaker materials create the least amount of resonance. Eliminating resonance in speakers results in a wide, smooth response and low distortion. 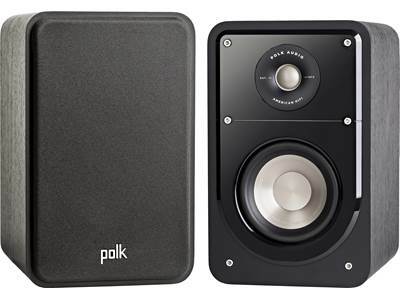 Using just the right materials enables Polk to eliminate issues that reduce speaker performance and tune out performance-robbing resonances before they occur. Dynamic Balance ensures a rich, clean, full-range sound no matter what you're listening to. 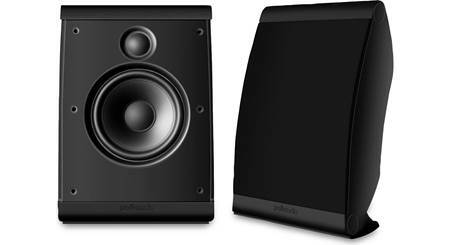 The Polk Signature S10 bookshelf loudspeaker incorporates a Dynamic Balance two-way driver array with one 1" tweeter and one 4" woofer. Hi-Res 1" Terylene Tweeter: The Signature S10 bookshelf loudspeaker utilizes Polk's newly designed 1" Terylene tweeter to deliver clear and detailed high-end response for realistic reproduction of vocals and instruments. 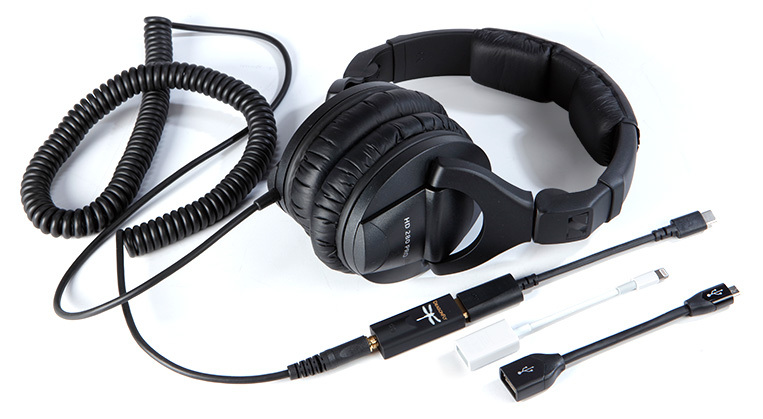 It will support high frequencies up to 40kHz to perfectly reproduce the latest high-resolution audio files with improved audio extension, earning Hi-Res Audio Certification. 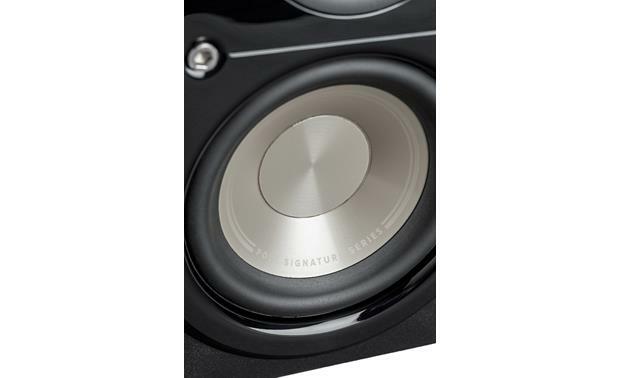 4" Mica-Reinforced Polypropylene Woofer: The Signature S10 bookshelf speaker employs one 4" Dynamic Balance low distortion mica-reinforced polypropylene cone woofer for clean, clear bass, better linearity, and increased dynamic midrange and midbass. 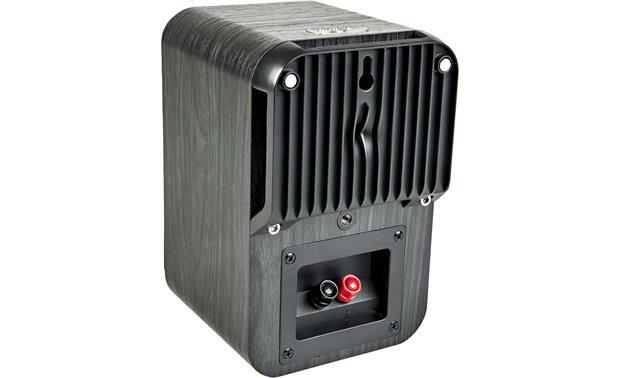 This mica-reinforced polypropylene woofer features a butyl rubber surround, massive ceramic motor structure, and a high-temperature Conex fiber spider that combine to create a driver of exceptionally high efficiency, for clean, clear bass, better linearity, lower distortion, and greater durability. 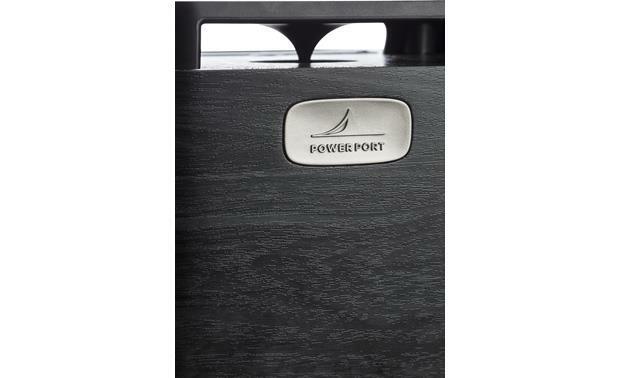 Power Port Technology: The Signature S10 bookshelf incorporates Polk's Power Port technology with a specially designed rear-firing port. Power Port technology smoothly transition air flow from inside the speaker into your listening area for deep, extended bass impact while minimizing turbulence and distortion. 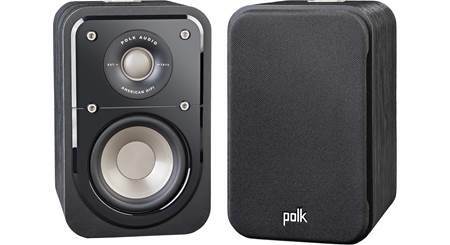 Polk's patented Power Port technology delivers 3dB more bass response than a traditional ported speaker. Non-Resonant Enclosure: The bookshelf speaker's strong, rigid and acoustically inert enclosure reduces unwanted internal standing waves for less audible coloration. And non-resonant Meddite MDF construction, extra bracing, and a thick front baffle ensure a more lifelike sound. The enclosure's curved edges not only look cool, they reduce standing waves inside the cabinet for less audible coloration. 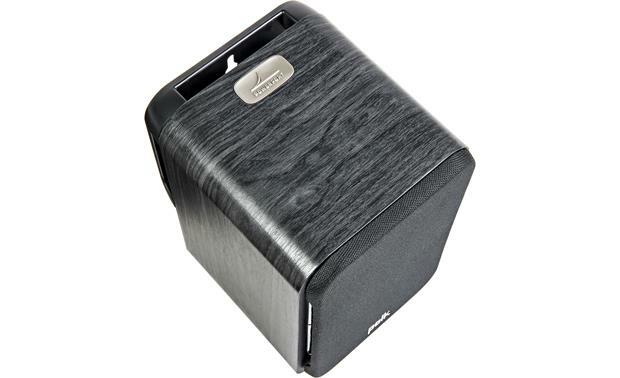 The enclosure features a beautiful black washed walnut finish. Anti-Diffraction Magnetic Grille: The Signature S10 includes an anti-diffraction magnetic grille for unaltered sound. The integrated magnets make it easy to attach and remove the grille from the bookshelf speaker. 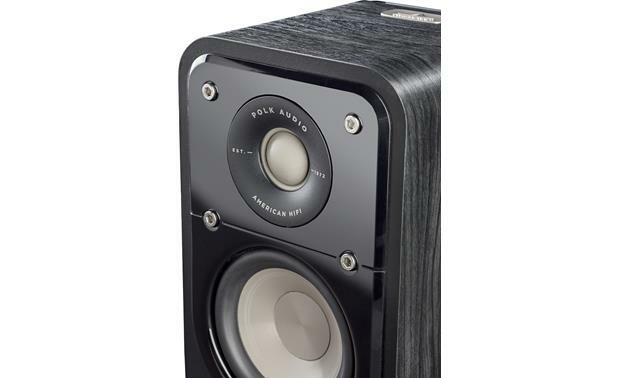 Two-Way Crossover: The bookshelf speaker employs a high-performance two-way crossover array (2.5kHz) for seamless blending and optimum time alignment of the tweeter & woofer, creating a lifelike soundstage. 5-Way Binding Posts: The bookshelf loudspeaker features 5-way binding posts for a secure connection to your speaker wire. The 5-way binding posts will accept bare wire (up to 10AWG), pin-connectors, spade-connectors, and banana plugs (single or dual). The speaker terminals are color coded for easy identification between positive (red) and negative (black). 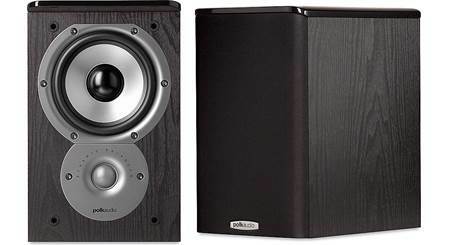 Applications & Placement: The Signature S10 bookshelf speakers can be used as front and/or surround speakers in a home theater setup. They can also be used in a simple stereo application. If your AV receiver offers built-in bass management, the S10 should be set to "Small" to filter out low bass frequencies. Placement for Surround Speakers: As surround speakers, the S10 should be placed on a side wall slightly behind and above the listening position. If you cannot place the speakers on the side walls, position them on the rear wall above the listening area. 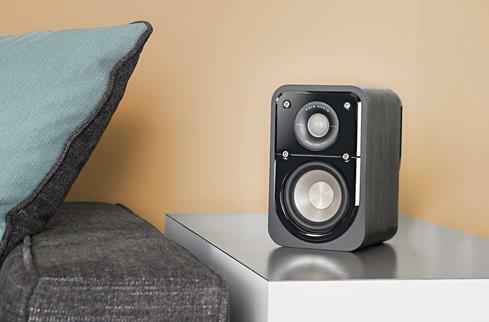 Mounting Options: The S10 bookshelf loudspeakers come with self-adhesive rubber feet so they will sit safely and securely on your speaker stands or shelf. 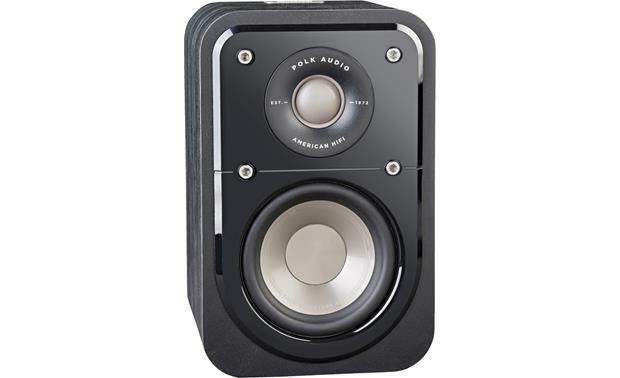 The included rubber feet add approximately 0.125" to the height of the speaker. 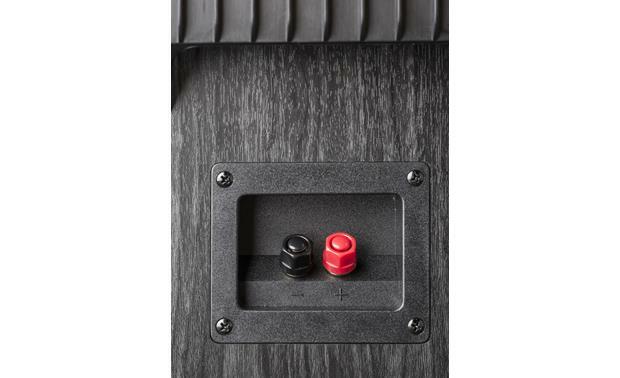 The bookshelf speakers also have a keyhole slot bracket on the back panel, allowing the speakers to be mounted on the wall using optional mounting screws (sold separately). In addition, there is a 1/4"-20 threaded insert on the back of each speaker allowing you to wall-mount the speakers with an optional mounting bracket (sold separately). A wall-mount template is provided to assist you. It appears that these are simply more compact than the S15s but the specs are essentially the same. Is there any advantage in buying the larger S15s if I plan to use as the two main front speakers in a 7 channel system? I already have 5 satellite speakers and a subwoofer. I'm guessing that the difference is primarily the size and that the extra cost is due to that but i want to confirm. Anyone who has purchased using them as stereo speakers and not satellite speakers? I am going back and forth between the 4" and 5.25" woofer models. The size of the cabinet increasing substantially for the 5.25" model. I will be using with my Yamaha 5.1 system as the main stereo pair. My setup in the new house is in the corner. The media cabinet is about 12' from the main listening area. The media cabinet is 59" wide. I don't think placing them on the media cabinet will give enough stereo separation at this distance. I can wall mount the smaller, but not the larger speaker. 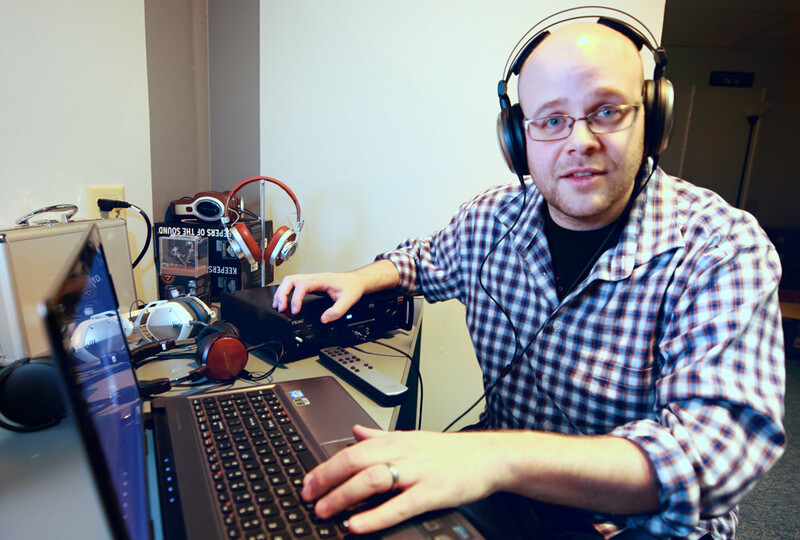 I discussed with Crutchfield, but I would like some real user input please. I have a pair of S10's on a small table. They are only 4' apart and the stereo sound fine. You could probably angle the speakers slightly out to disperse the sound to a wider sound field. Just a suggestion. Searches related to the Polk Audio Signature S10 Satellite speakers.